Are you new to hunting? Are you attempting to determine what you will need to do before you go out on your first hunting trip? You are not alone in this. Across the US, thousands of new hunters will go on their first hunting trip. For most of those people, the first step will be to take one of the hunter safety education courses that are offered in most states and then they will have to make a passing grade on a hunter education test in order to get their hunting license. Every single state requires hunters to not just have a license to hunt, but to carry it with them when they are in the field. What is a Hunting License? These are typically issued by state wildlife agencies either in the form of a certificate or a card. In some states, you will actually get both of these. A hunting license will allow you to enter draws or purchase tags, and it is basically proof that you have passed a course on hunter safety. This proof is recognized all over the continent and in quite a few other countries. The legal age for purchasing a hunting license will vary from one state to the next, but most of them require you to take and pass the hunter safety education course before they can be purchased. This type of education first made an appearance more than 70 years ago in order to help ensure the safety of the public. Throughout the intervening years, it has evolved to include both online education courses that have been approved by wildlife agencies and classroom instruction that is given by safety instructors who are certified. Nearly every state now allows at least a part of this course to be taken over the internet, and this reduces the amount of time that needs to be spent inside a classroom. In most of those states, the online part of the class will be followed by a field day that is hands-on and taught by a hunting instructor. This follows up field day or class will be used to complete the process of certification in order to get a hunting license. The final exam might consist of a review of specific material, a hands-on type of evaluation, or even a written exam. Take and pass the course. Pay a one-time fee and then print out your online voucher. Attend the follow-up class offered by your state and get your brand-new hunting license. There are also a few states that will now let new hunters take the whole education course and test on the internet. 14 states currently offer online-only education courses, and this allows you to be able to get your hunting license totally online if you meet the state and age requirements. There isn’t anything else like it. It might be your first time, a weekend tradition, a chance to be alone or spend time with family and friends, or something else, but hunting trips are experiences that are unique. However, if you go hunting without having a license, you run the risk of getting into serious trouble, so it is important to have one before you head out. Getting the license is easy. You just have to know a few things in order to ensure that you are getting exactly what you will need. Research your local laws. Information that is area specific can be gotten from your state or county government. Decide which type of license you need to get. Licenses can vary by the weapon you will use, the length of the hunting season, the animal you are looking to bag, and by age. Ensure that the one you get will suit your individual needs. In some states, you will need to fill out a hunting application before you will be able to get your license. Find out where you will need to go to get your license. Some states will allow you to buy one online using a credit card while others require you to go to an authorize3ed vendor that might be a convenience, grocery, or weapon store. In order to locate a seller near you, just get in touch with your local or state government. 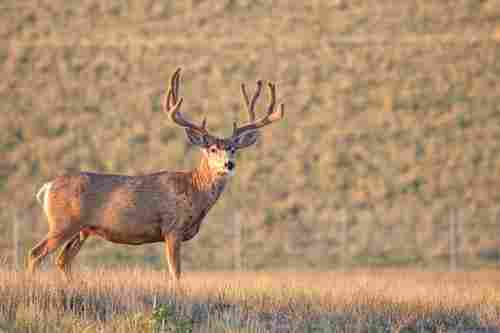 Once you have purchased your hunting license you should immediately make a copy of it. Store this copy in a safe location so that if you happen to lose the actual license, you will be able to get it replaced with ease. 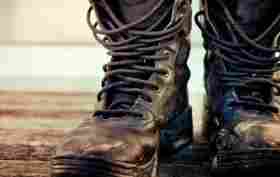 Anyone who is born after August 1, 1977 has to show proof of having completed a Hunter Education course before they can purchase a hunting license – except if they are an active duty armed forces member, residents of Alabama who are active in the National Guard, or certified police officers who are employed by a state or local law enforcement agency. A mentor provision for hunting education was provided by the Wildlife Heritage Act of 2007. 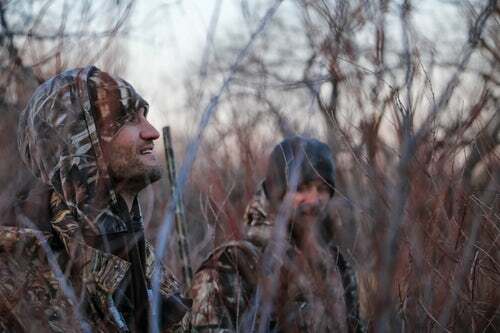 People looking to purchase a hunting license are now able to hunt under what is known as the ‘supervision required’ status as opposed to having to pass the education course for hunters. Hunters who do this have to be under voice control, and not farther away from a licensed hunter, who is 21 years old or older, than 30 feet. 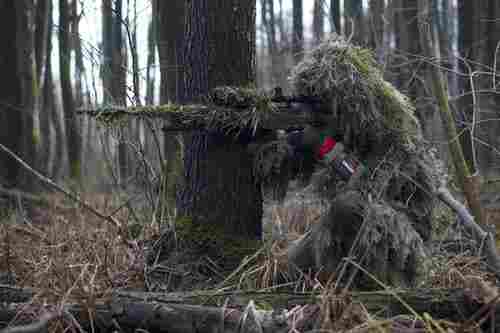 The person supervising the other hunter cannot also be of the ‘supervision required’ status. 10 to 14-year old’s who want to hunt for big game need to graduate from a hunter education course. Anyone who buys a hunting license needs to have a valid California license, a hunting license from one of the other states that aren’t more than 2 years old, or a hunting education certification from either California, another state, or a Canadian province. 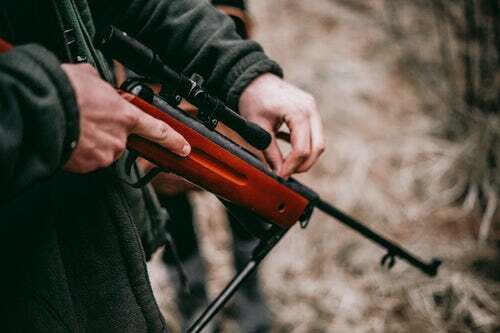 If you will be using firearms to hunt, you will need a certificate regardless of your age if you haven’t had a resident firearms license within the past 5 years or if you are getting a hunting license for the first time. When it comes to bowhunting, you will need either a Connecticut Advanced Bowhunter Education Certificate or whatever its equivalent is from another state. If you have had a previous bowhunting license from Connecticut but moved away and then back, you will need to get another one. If you were born after June 1, 1975, you will need to attend as well as pass a hunter education course. Both non-residents and residents who were born after Jan 1, 1961, need to successfully complete a course on hunter education before they can buy a season-long hunting license. That said, the course isn’t required if you will be purchasing a one- or seven-day license to hunt. Hunters between the ages of 12 and 15 need to pass a hunter education course before going hunting unless they will be supervised by a licensed hunter throughout the hunt. Hunters between the ages of 12 and 15 will need to have adult supervision when they are hunting on an WMA. Hunters who are below the age of 12 will not need to complete a course unless they will be hunting on Park Service Lands or National Wildlife Refuges. Children between the ages of 10 and 16 will have to carry a hunter safety certificate that is valid. Hunter education will not be necessary if you are hunting on land that you or your parents own. In order to buy a hunting license, you must first pass a Hunter Education Course if you happen to have been born after Jan 1, 1980. In Iowa, if you were born after Jan 1, 1972, you need to successfully pass a Hunter Education Course before you will be allowed to buy a hunting license. Any hunter born after January 1, 1975 needs to have a valid hunter education card on them while they are hunting. A Card will not be needed to purchase a license. There are exceptions. Children under the age of 12 don’t need a card if they are hunting with a card-carrying adult. People who are exempt from having a hunting license will also be exempt from the hunter education card requirements. This includes land owners and those on furlough from the military. People who have a Hunter Education Exemption Permit can hunt without the card while they are hunting with a legal adult hunter. Anyone applying for an adult hunting license will have to show proof of either having successfully completed a hunter education course or of having held an adult firearm hunting license previously. If you want to get an adult bowhunting license, you will need to show proof that you have either had a previous adult bowhunting license or have completed an archery education course. To get a permit for a crossbow, you will have to successfully complete a crossbow education course or have proof that you have hunted in any other state that allows crossbow hunting. If you want to hunt for mammals or birds in the Commonwealth of Massachusetts, you will need to have had a license before Jan 1, 2007 or successfully completed a hunter education course. This holds true for both residents and non-residents. If you want to buy either a small or big game hunting license, and you were born after Dec 31, 1979, you will need to successfully pass a hunter education course. Children under the age of 16 will not need hunter education certification if they are hunting while in the presence of a hunter education certified adult who is aged 1q8 or older or in the company of an adult born before Jan 1, 1967. There isn’t a minimum age required for hunting small game. The minimum age to hunt for turkey and deer is 6. Both resident and non-resident youngsters can buy turkey and deer permits at reduced cost. 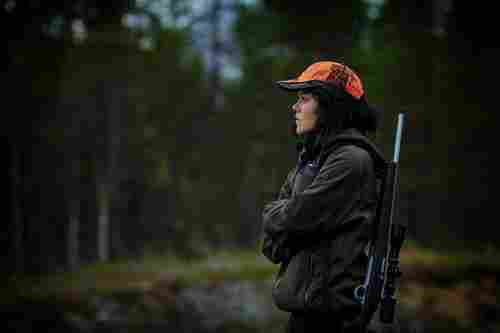 To buy a hunting license in New Hampshire, you need to successfully complete the hunter education course or show proof that you have previously had a hunting license in another state or in a Canadian province. In the state of New Hampshire, trappers and hunters have to attend a training course that is specific to the type of license they want to buy. 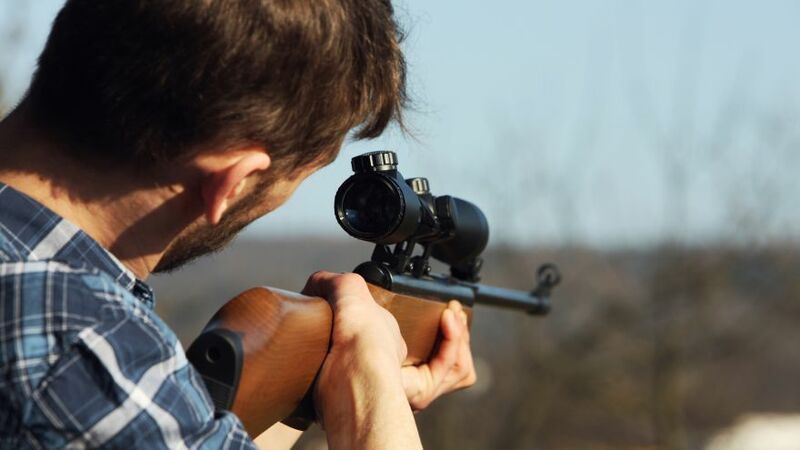 Regardless of what state you are in, check the laws and regulations to make sure of what you need to do in order to get your hunting license before you just decide to go out and kill an animal.